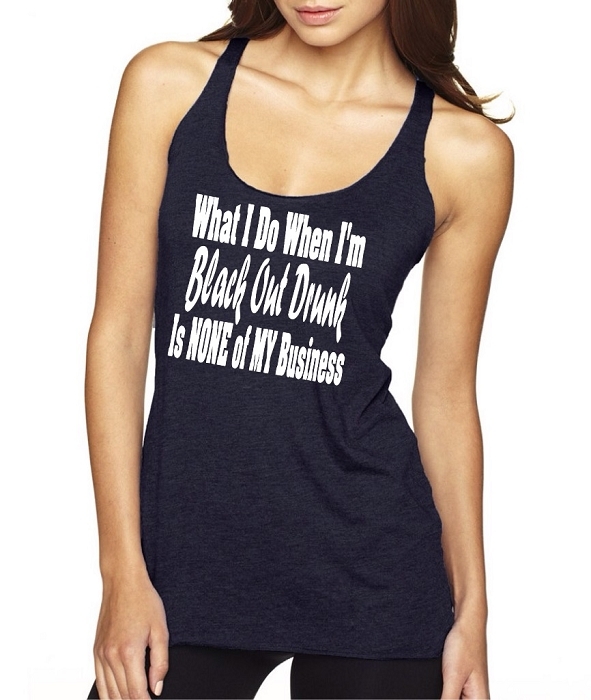 What I Do When I'm Black Out Drunk Is NONE Of MY Business. Triblend has a multicolored look similar to a burnout look. Very soft. The edges have the frayed look to it around all the hem lines. This is a LADIES LOOSER FIT RACER BACK TANK. They run longer in length and hang nicely to your shape, however, in general, it is not a tight fit. 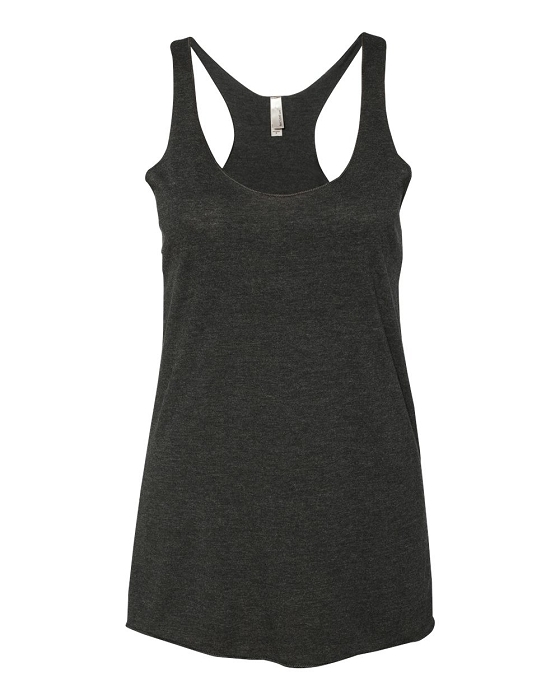 If you prefer a tighter, form fitted tank, we have the Ladies Jersey Fitted Tank Tops available in our shop as well.